Severn vale Art Trail 28th of April to 7th of May 2017. Open 10am to 6pm. A date for your diary. Severn vale Art Trail 28th of April to 7th of May. Once more my wife Liz and I will be throwing open the doors of our home during the Severn Vale Art Trail to welcome you to view a wide range of my paintings and drawings. The whole of the ground floor of the house and my garden studio will become a gallery. We will be offering delicious cakes made by Liz along with a selection of teas and coffee. I will be working in my studio for the first five days so you can come and chat and pick my brains if you want to. I will have two demonstration pieces on the go, a landscape of Wastwater in the lakes and a scene depicting Bass Rock with lots of gannets at nesting time. 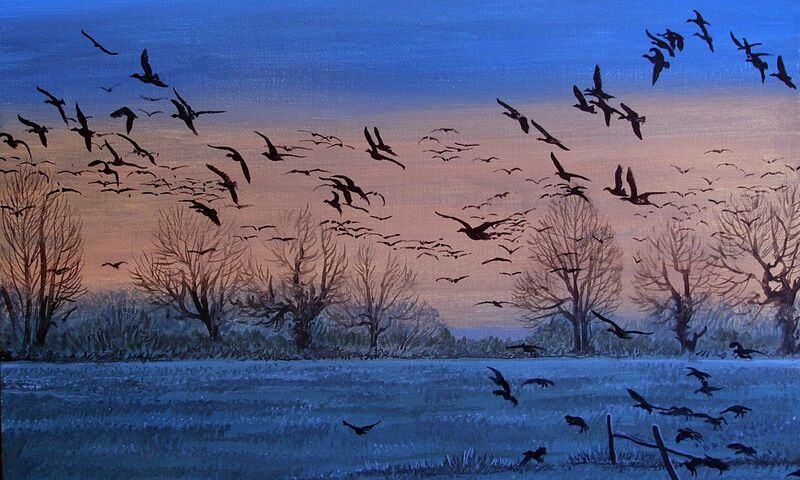 Along with my latest work depicting birds I will again be offering a lot of my past creations at very low prices just to clear some space in my studio so you could well pick up a real bargain! 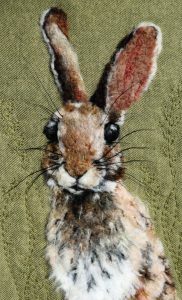 Also this year my step-daughter Naomi will be showing her wonderful Textile Art creations. 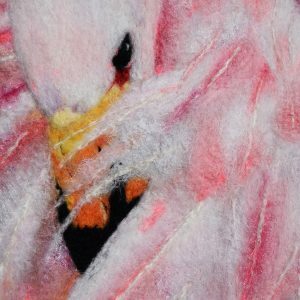 Hand stitched, felted and embroidered pieces with a wildlife and landscape theme. 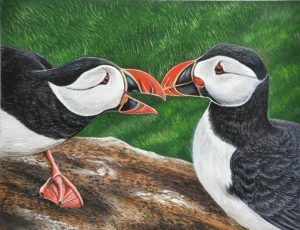 She also produces limited edition prints and greetings cards, so plenty to browse through. A couple of examples above. She is fast gaining a reputation for stunning and unusual pieces and has had some very good sales lately. Commissions are coming in at a steady rate so you might want to get in quick whilst her prices are still very reasonable. We will open at 10am and close at 6pm every day.